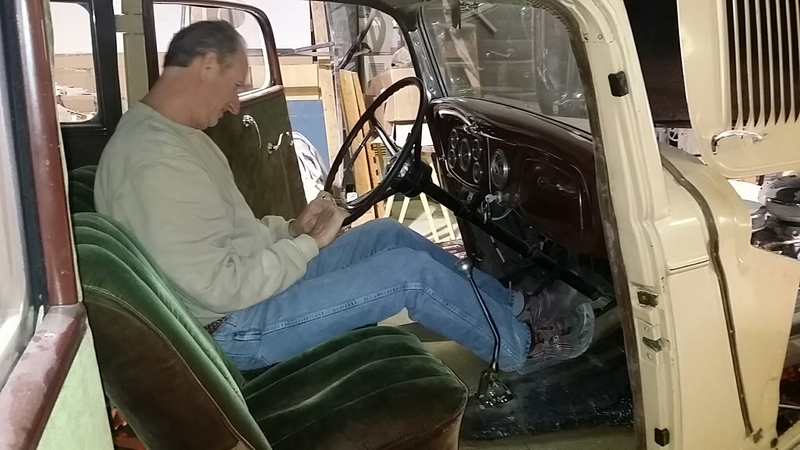 Doug added some core mat, and sliced up the transmission tunnel, to widen it for some additional clearance, and finished glassed the tunnel to the floor. With the Wieand WCV 327 intake, there’s not a whole lot of choices for where to attach a vacuum line for the transmission modulator. 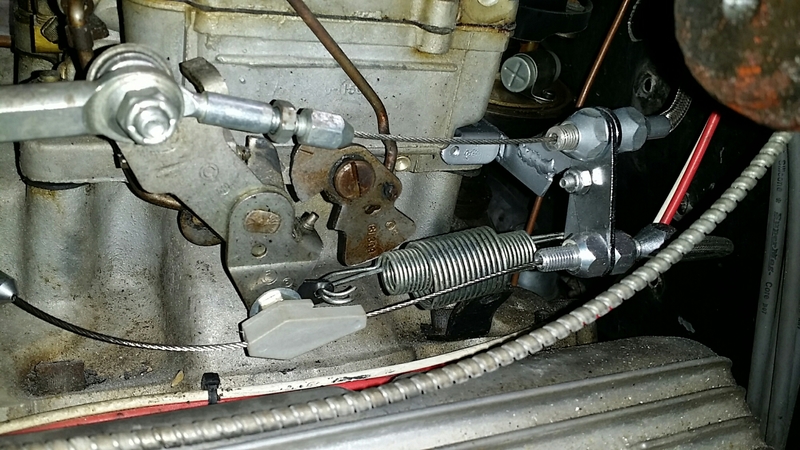 We used a 90 degree fitting and some big brake line to clear the distributor. 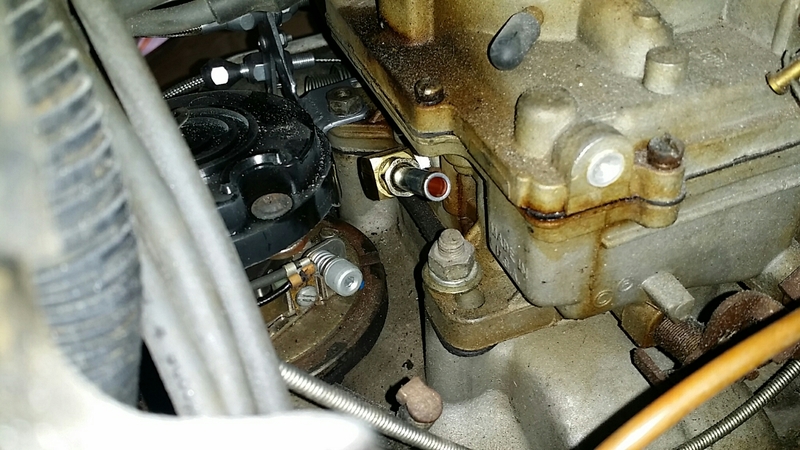 Doug had to cut up a perfectly good throttle linkage to make it work on the back carb, so that we could add a kick down cable bracket. 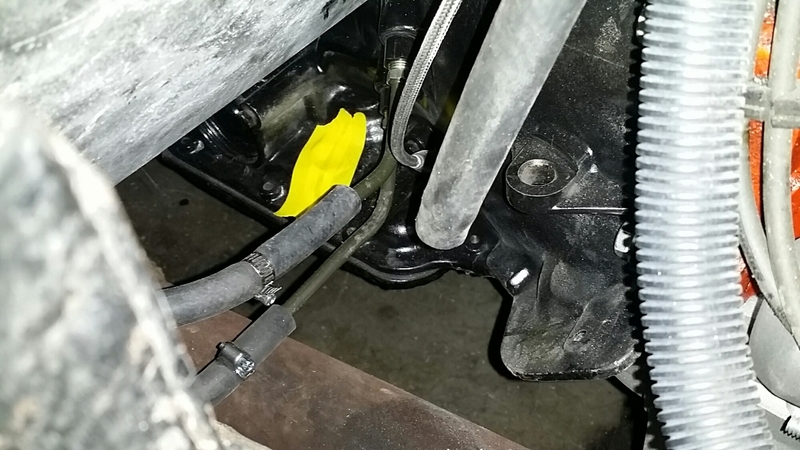 Transmission cooler was added to the inside of the frame rail, but we had clearance issues with the dipstick tube. We chose to go with one of the flexible ones, but it wasn’t installed in this photo. 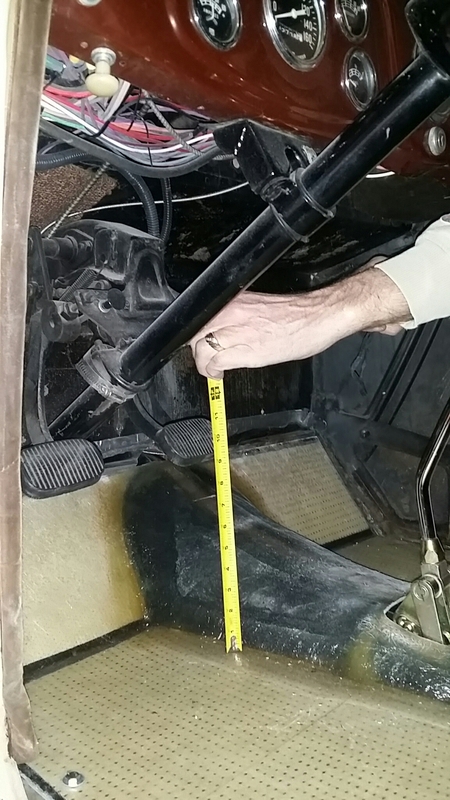 Just for reference, now the brake pedal is about 9″ off the floorboard. Doug will cut it off and add about 3″ to it, and move it over towards the column just a bit. 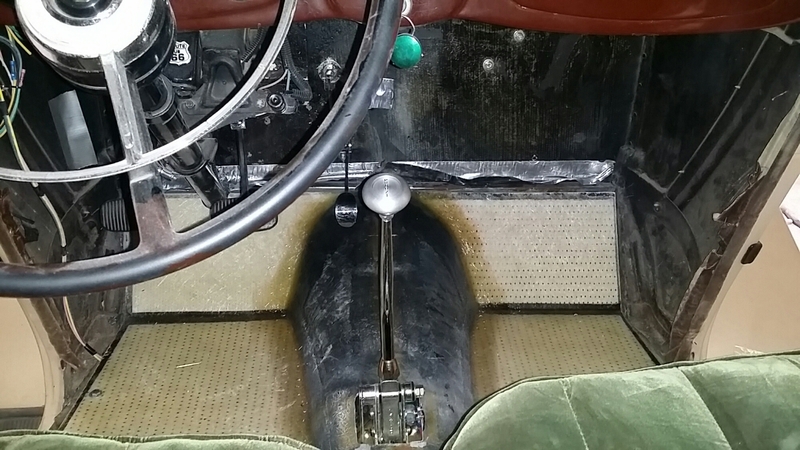 We bolted the seats back in to get a feel for how much difference the floorboard drop makes, and to get our reference of what we needed to do to rearrange the gas pedal and brake pedal locations. Hopefully we can get some of the items on the “short list” done this coming weekend. Great to see all the progress. It sure helps to have a second set of hands / brains etc when doing this sort of stuff. My attempt to put a C10 behind the flatty came to an end when the flexplate cracked for the second time!! I re-synchroed the old 5-speed / clutch assy & put it all back in.